The country's gold imports dipped about 5.5 per cent in value terms to $29.5 billion during April-February 2018-19, which is expected to keep a lid on the current account deficit. Total imports of the precious metal in the corresponding period of 2017-18 stood at $31.2 billion, according to commerce ministry data. Trade experts said softening prices of the yellow metal in the world markets could be the reason for the contraction in imports. After recording negative growth for three consecutive months -- October, November and December 2018, gold imports grew by 38.16 per cent to $2.31 billion in January this year. It again contracted by 10.8 per cent to $2.58 billion in February. Gems and jewellery exports too dipped by 6.3 per cent to $28.5 billion during the 11 months of the current fiscal. India's current account deficit (CAD), or the difference between outflow and inflow of foreign exchange in the current account, widened to 2.9 per cent of the GDP in the second quarter of the fiscal, against 1.1 per cent in the year-ago period, mainly due to a large trade deficit. In volume terms, the country's total gold imports increased by 22.43 per cent to 955.16 tonnes in 2017-18. It stood at 780.14 tonnes in 2016-17. 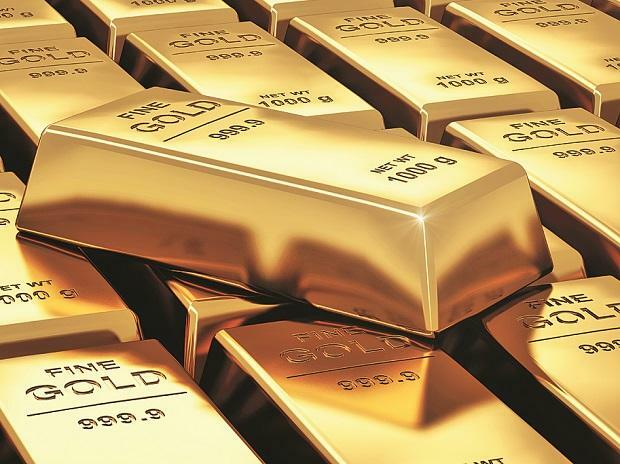 The government has introduced several measures to restrict the import of gold, including restricting duty-free gold imports from South Korea as allowed under the India-Korea free trade agreement and imposition of self-use condition on Premier Trading House/Star Trading House authorised to import the precious metal directly from overseas bullion suppliers. It has also imposed 10 per cent import duty on gold.